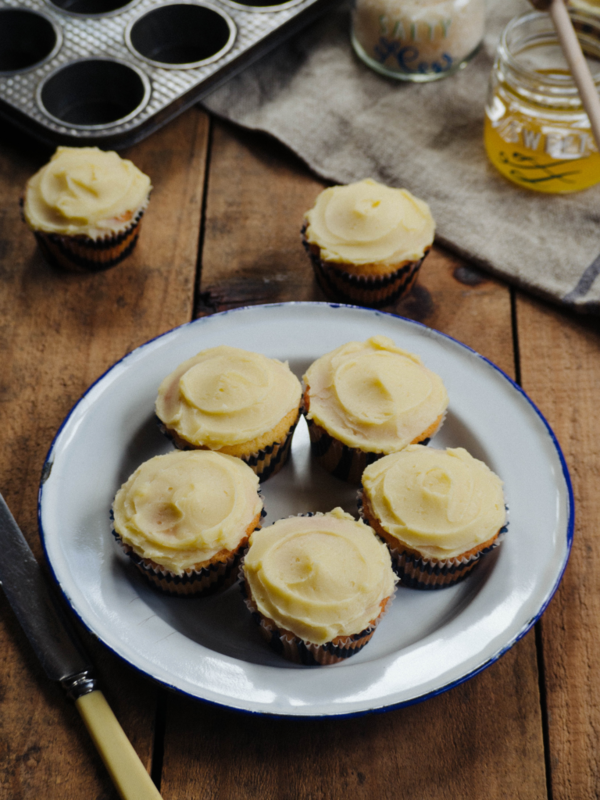 Put an added twist to your classic Vanilla cupcakes by adding a Salted Honey Buttercream icing. You might want to make a double batch because they will disappear in a flash, leaving you licking your fingers and wanting more. Pre-heat oven to 160 degrees Celsius, and line a 12 hole cupcake tray with cupcake cases, and add a few more to a second cupcake tray. In the bowl of an electric mixer, beat the butter, sugar, honey and vanilla until light and fluffy. Evenly divide the mixture amongst the cupcake cases, the mixture should fill each case so they are about 3/4 full. Bake for about 18-20 minutes, or until the cakes spring back when touched lightly and a skewer comes out clean. The cakes will be lightly golden when they are done. To make the icing, beat all the ingredients in the bowl of an electric mixer until well combined and fluffy. Use a spatula to spread the icing over each cake.